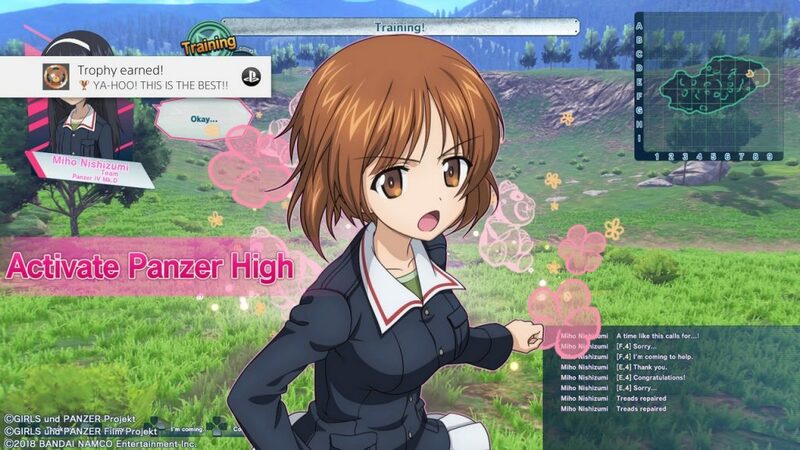 Get ready for some girl-on-panzer action! 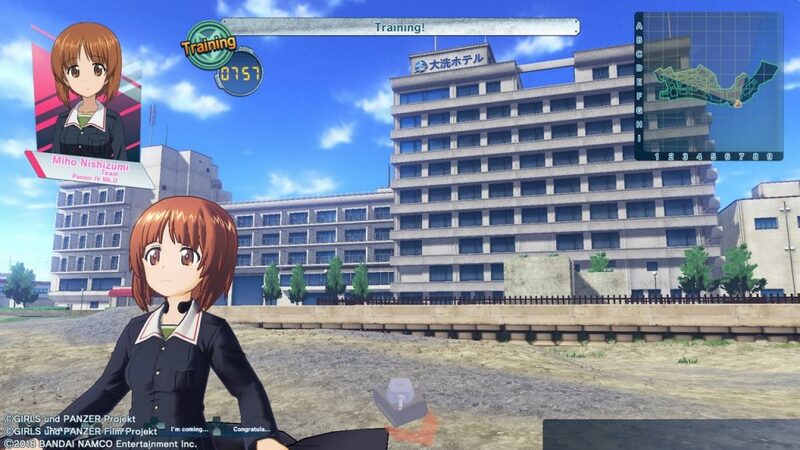 Girls und Panzer Dream Tank Match was developed by Bandai Namco as a tie-in game to the anime of the same name. 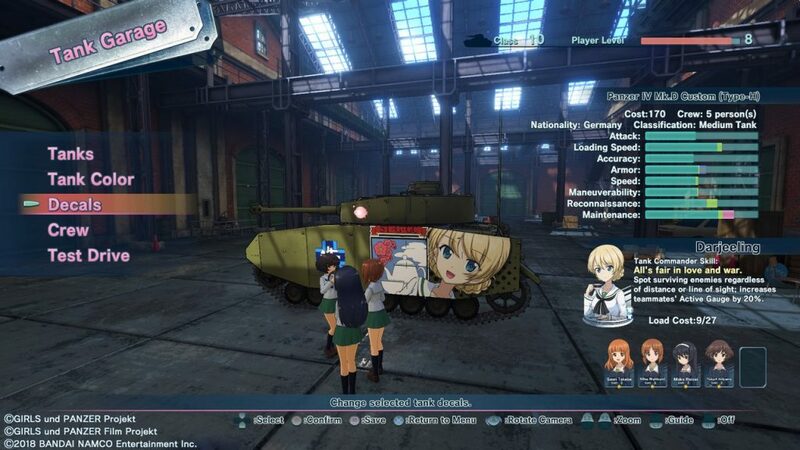 It is set in an alternate timeline where high school girls ride World War II Tanks and competes in a sport-style warfare competition, with “Panzerfahren” or “sensha-dō” (the way of the tank) being the most popular. 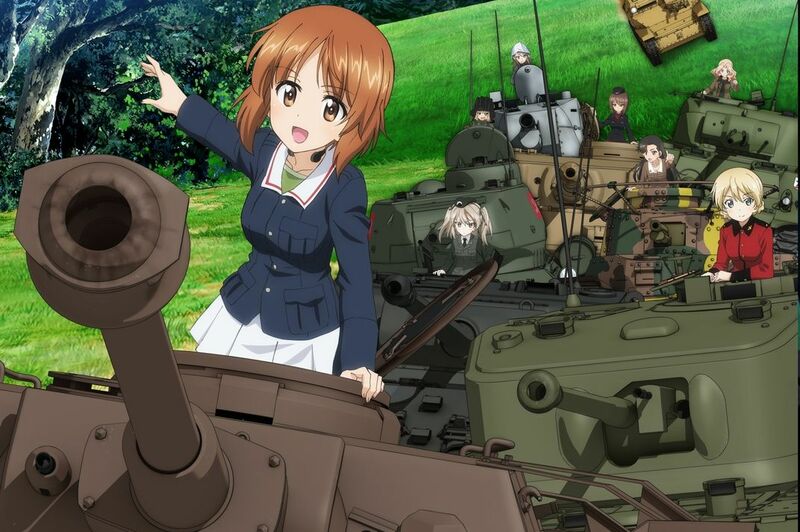 While its cute characters stand out as part of the game’s charm, Girls und Panzer: Dream Tank Match also offers LOADS of exciting tank battles and different game modes. Let’s check it out in this review! Story-wise, the game features re-enactments of the scenes from the movie. From the get-go, you are greeted by a promotional video that recaps the events of how the Oarai Girls Academy won the national sensha-dō tournament in hopes of recruiting more students to their school and prevent it from closing. It seems, however, that their efforts weren’t enough. Now, Team Anglerfish (MIHO, YUKARI, SAORI, HANA, MAKO) and the student council have come up with an even more effective way to recruit students – EXHIBITION MATCHES with other schools coming in as participants and/or commentators! The story and interactions of each character are told in a visual novel-style where characters have a 2D-sprite and bombarded by a wall of text. So while that may be nothing out of the ordinary, the in-game visuals are just an ABSOLUTE EYE CANDY! The environment – from the trees, buildings and even the splashes of water – are gorgeous. But more than that, the Tanks themselves shine bright with how well-detailed they are. The only things that were a bit off for me were the in-game sprites. Even though they did their best to make it similar to the show, they made it a bit darker as compared to the show’s more brightly-colored design. Not that big of a deal though. The gameplay itself is simple and can even be compared to the infamous World of Tanks where you drive your very own panzer! 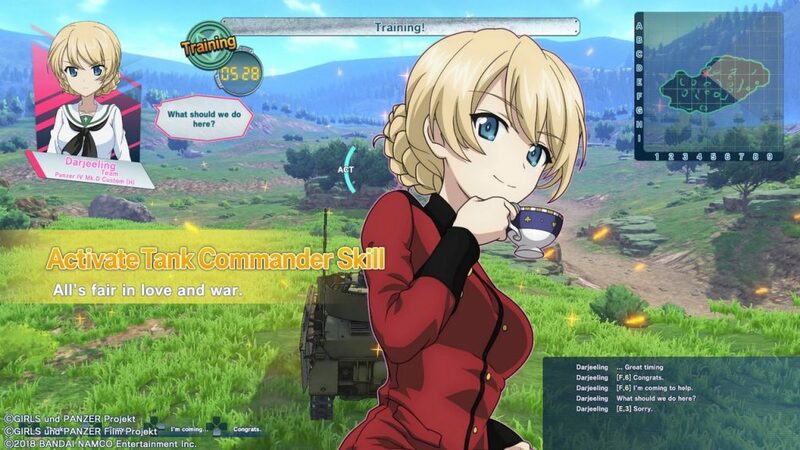 Girls und Panzer: Dream Tank Match has its own unique quirks though such as Commander Skills and Panzer High skills that will give you an edge in battle depending on the skills of your chosen commander. It was hella exciting as I saw my tank power up upon activating my commander skills. I only wish battles lasted a BIT LONGER as your usual match would be just around 5 minutes or so. That’s why I’m really looking forward to the online match-making features which could be a real game changer as it poses new challenges and difficulty compared to that of the usual in-game AI behavior. While following some scenes in the movie, you can choose which characters to play at the start of each stage which allows you to see the story from their perspective. That makes even more interesting and gives it a nice replay value. Aside from the battles, what I found really interesting was the tank garage where you can play dress-up with your very own panzer. You can put decals that you have collected throughout the game and pick colors to keep your fashion panzer game strong. The only unnerving part is that you have to look for the well-hidden BOCO figures throughout each stage and have to shoot this teddy bear while you are being attacked by enemy panzers. Last time that I tried to shoot one, I got punished for it really hard by the enemy. At the end of the stage, you can earn decals or colors for each BOCO you destroyed (There are 5 in total per stage). What’s even more fun in the customization is that you can pick your very own crew who will help show the panzer’s potential. This means you can round up your favorite characters from the show and, if you are lucky, you might witness some unique interactions between them that were not shown in the movie. There were times I found the aiming controls to be a bit clunky though. I would have experiences when the main cannon would sway too much when I was moving a lot, making it difficult for me to hit my target. Though the game itself offers so much, it also does tend to get a bit repetitive and tiring. The music itself kind of causes this as well. While yes, it gave a fanfare vibe to the game and sometimes I would hear some familiar tracks from the anime. It’s just that it would get kinda tiring after hearing it over and over again. I personally enjoy the Visual Novels genre hence I really don’t mind stories being told in this kind of format. But the walls of text here were REALLY DAUNTING. It kind of made me wish there was an English Dub option just so I wouldn’t have to read so much. This is especially true during your first playthrough of each chapter where you are not given an option to just skip an entire scene. My only option was to make the text faster by spamming the R1 button. I could only wish that the walls of text weren’t so GREAT. 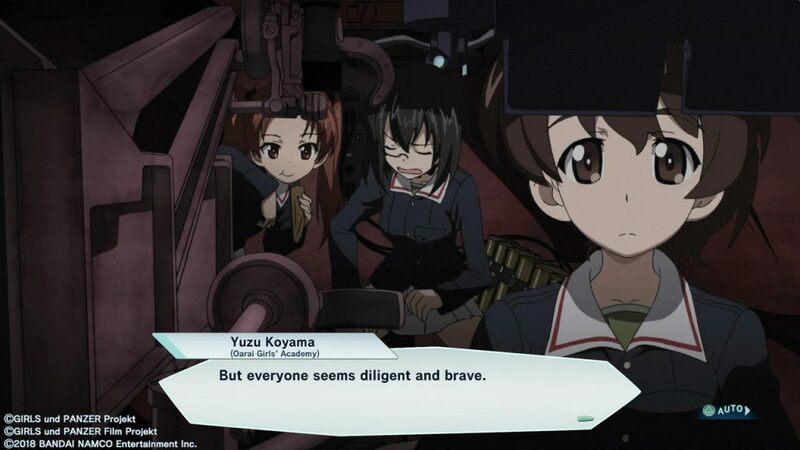 I don’t really mind the lack of English dub but, unfortunately, I got a bit disappointed on how the battles tend to get too short and sometimes too easy especially on stages where I can’t even have the time to collect those BOCOs for some extra panzer decals. Most of the time, my AI companions finish off the enemy panzers on their own making decal farming quite difficult. Do you like tanks? Do you like anime girls? 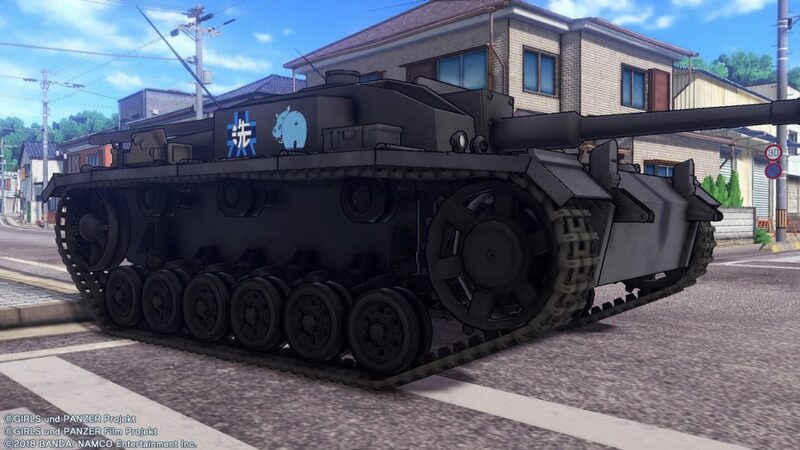 Do you like anime girls riding gigantic tanks? or are you just simply a fan of the series? 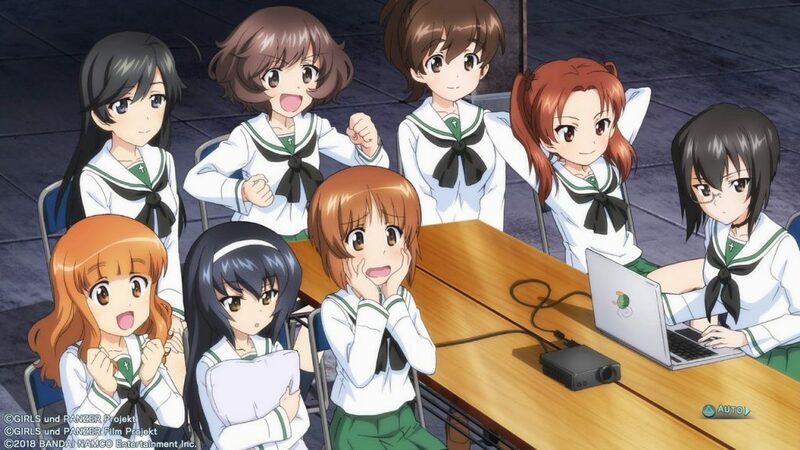 Then Girls und Panzer Dream Tank Match is the game for you. With its simple gameplay and controls that are not too complicated, this is a game that you can easily pick up and enjoy. I just really wished that the battles were a bit more challenging and a bit longer so I could enjoy riding my panzer even more. 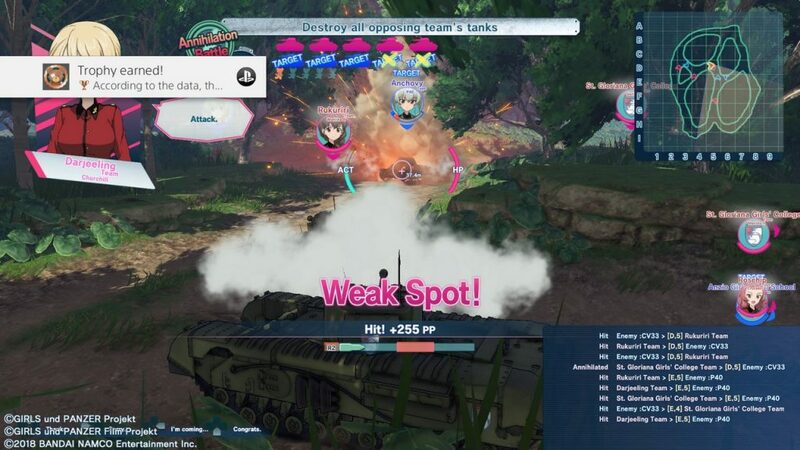 Girls und Panzer: Dream Tank Match is available right now for PS4. If you're a fan of the series then you'll love this game as it gives you extra perspectives of characters on certain battle re-enactments. Battles could be longer though and the AI could also have been more difficult. If you can get over the occasional repetitiveness and great walls of text, you'll enjoy just how awesome this game looks as well as the customization features. Next articleLevel up your geekshots with the new Samsung Galaxy S9!